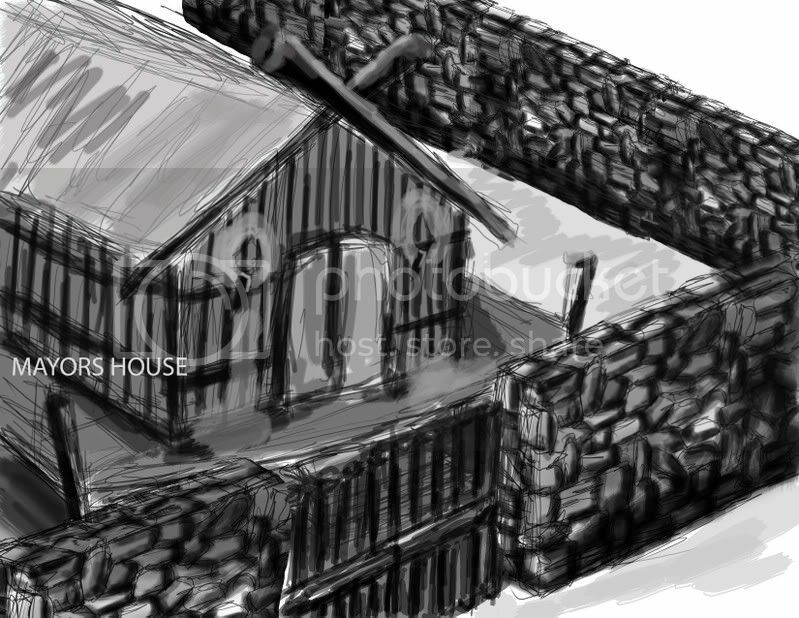 Here is the layout of our first level set in a Viking/Norwegian village. 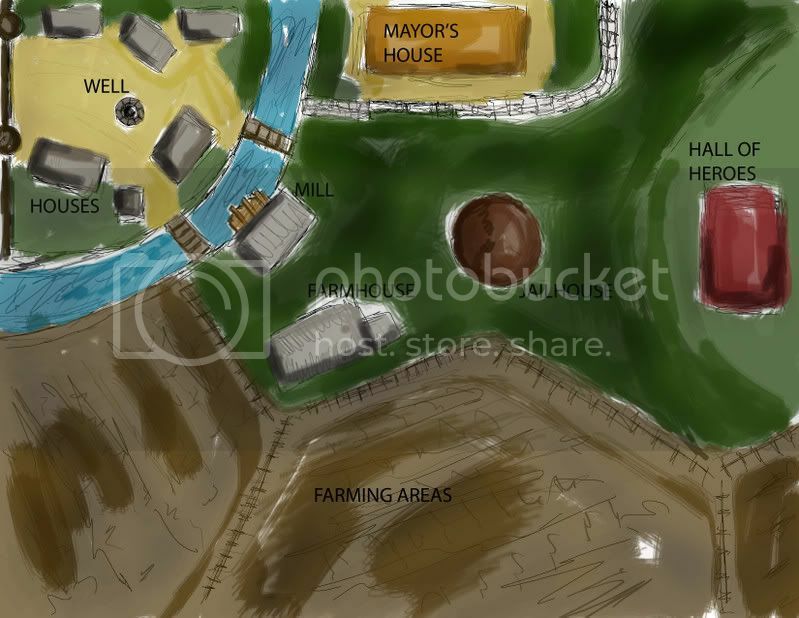 Here's the starting point of the game. The player, being out of place, is not welcomed by the villagers, seeing that he/she stands out and looks "strange" to the villagers. Therefore, the player is thrown out of jail. 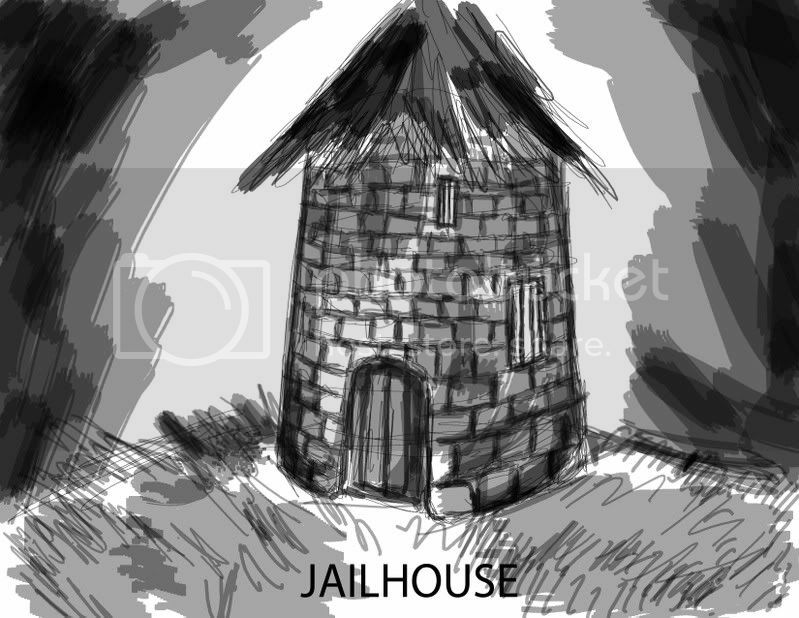 The first of the level is to break out of the jailhouse. 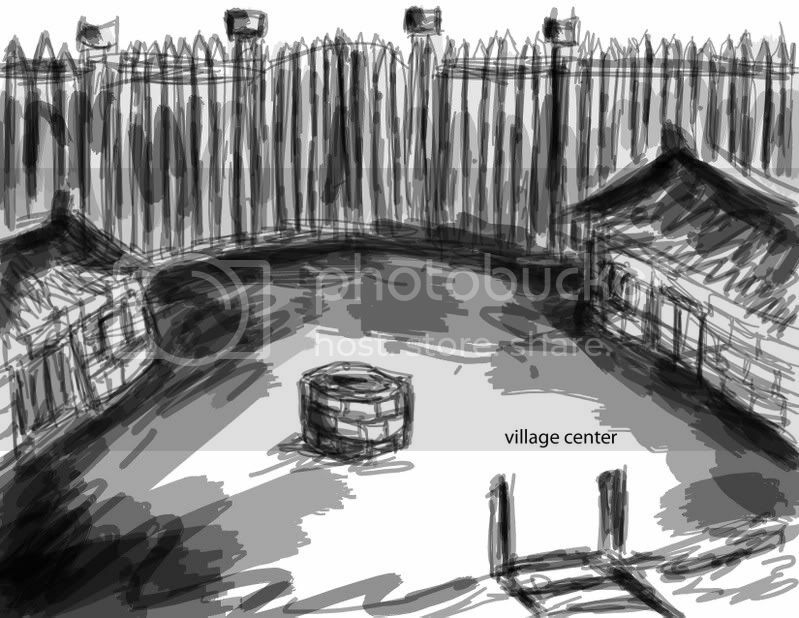 Upon escaping, the character finds themselves in the village center, yards away from the main gate. An obvious way out. However escape is impossible, as archers are posted above the gates, and therefore any suspicious character will get pummeled by arrows immediately. In the mayor's house, the player receives hints about the "Hall of Heroes". Not certain to what it is, it is the character's only next lead. Is it a way out? Or just a dead end? 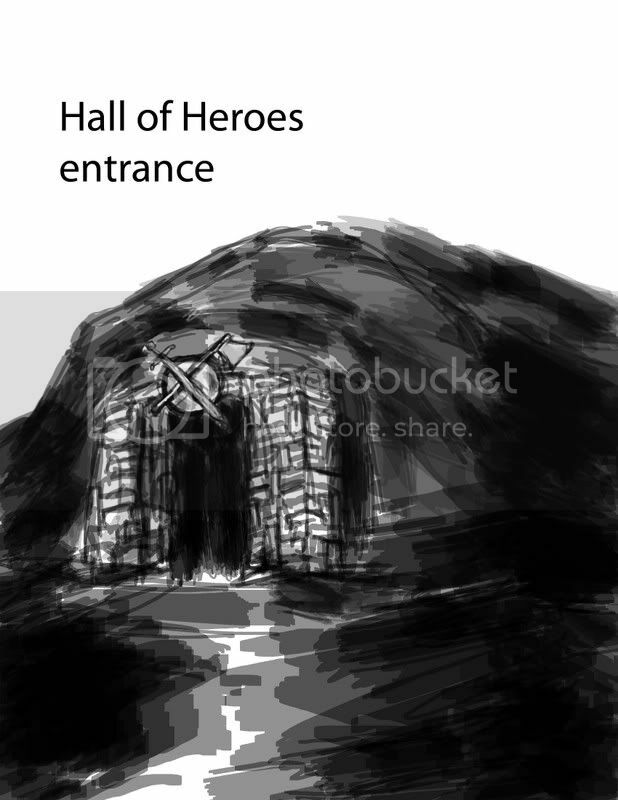 Once all the info is taken, the player is left with no choice but to traverse towards the hill where the entrance to the Hall of Heroes is located. Once here, and through exploration and inspection of the surroundings, the player is taken to the next part of the adventure.